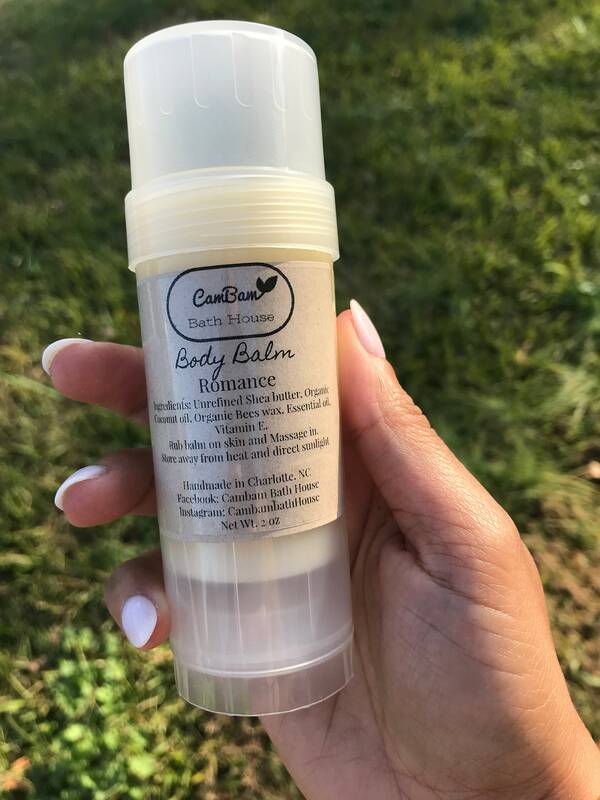 This listing is for 1 Moisturizing handmade Body balm stick/ lotion stick weight 2 oz, Scent options are Lavender or Romance essential oil blend. Handmade by Cambam bath house. Ingredients: organic beeswax, organic coconut oil, unrefined Shea butter, vitamin e, and essential oil. 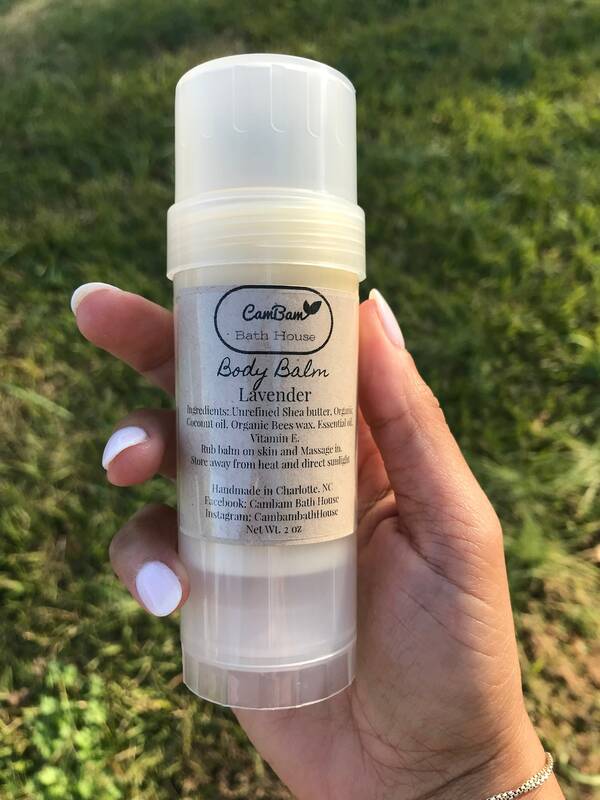 Directions: Twist bottom of tube to reveal top of lotion stick and rub the stick directly onto your skin, rub the nourishing oils and butters into your dry areas. Also great for heals and common dry areas such as knees and elbows. To ensure quality our products are handmade in Charlotte, NC in small batches.